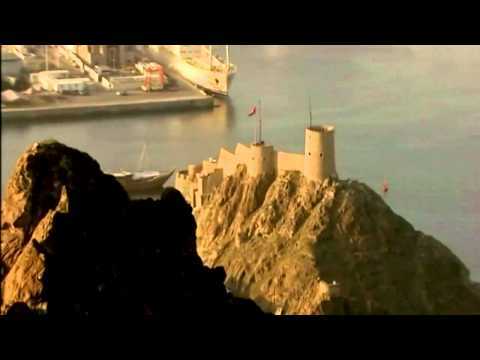 Your fascinating journey to this magical part of the globe begins in Muscat, Oman, capital of the Sultanate since 1793. Visit the Sultan Qaboos Grand Mosque with its 21-ton prayer carpet, the Old Muttrah Souk, and the Amouage perfume factory. Experience desert life during an overnight in a tented camp in the Wahiba Sands, and take a refreshing dip in the deep pools at Wadi Bani Khalid. 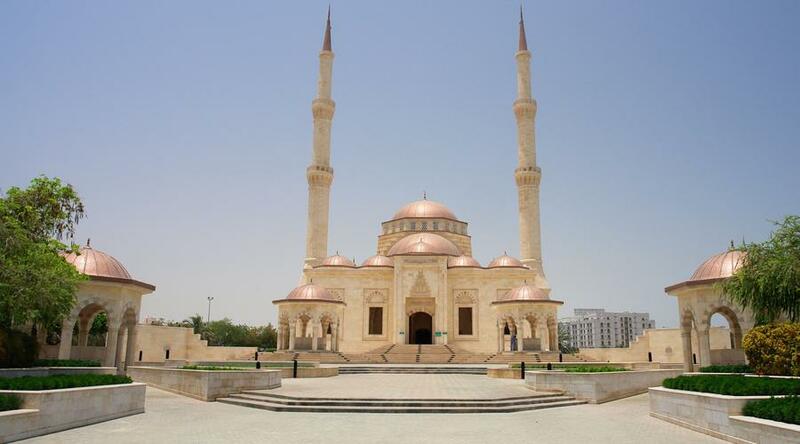 Visit Sur, Nizwa, and Ibri, then cross over the border into the United Arab Emirates. Stop in the charming desert oasis of Al Ain with its impressive archaeological park and museum, and visit the camel market. 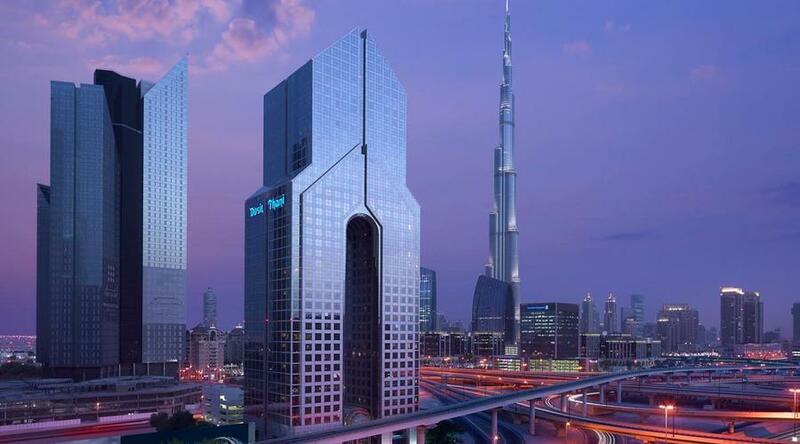 From Abu Dhabi, continue to Dubai, the dynamic business center that boasts the tallest man-made structure in the world, the Burj Khalifa. Also see ancient and contemporary architecture; shop in one of the famous malls; take stunning photographs of the palaces, mosques, and souk; and experience an evening on board a traditional wooden boat. Day 1 Arrive in Muscat, Oman. Check into your hotel. This evening, meet your Tour Director and fellow travelers. (D) MUSCAT Majan Continental (ST). Capital of the Sultanate of Oman since 1793 and an important port town, lovely Muscat has attracted foreign tradesmen and settlers throughout the centuries. 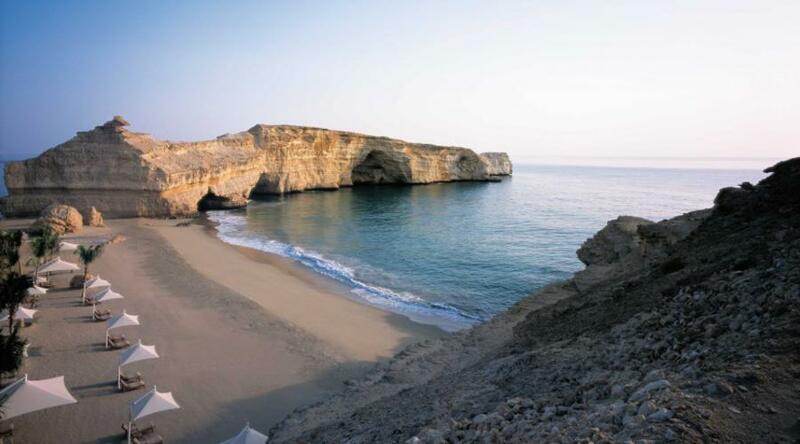 Today, its picturesque setting between the Gulf of Oman and Western Al Hajar Mountains lures visitors to its golden beaches and fascinating vestiges of ancient culture. 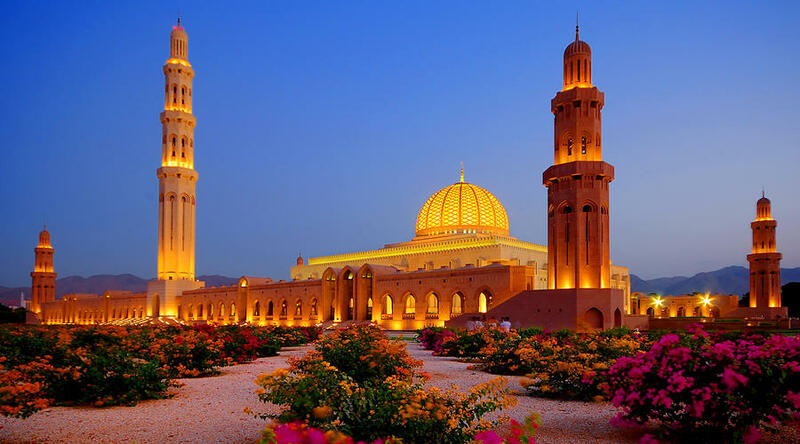 Included city sightseeing visits the SULTAN QABOOS GRAND MOSQUE, an architectural gem built from 300,000 tons of Indian sandstone and home to a handmade Persian carpet that is reportedly the second-largest in the world. Also visit the AMOUAGE PERFUME FACTORY, where luxury fragrances are produced; the MUTTRAH SOUK, a traditional market where you can still purchase things like frankincense, silver jewelry, and Bedouin crafts; and the BAIT AL ZUBAIR MUSEUM, housing the finest privately owned collection of Omani artifacts. Also stop to take photos outside the Sultan’s Palace with its blue and gold mushroom pillars. (B) MUSCAT Majan Continental (ST). Day 3 Muscat–Sur–Wadi Bani Khalid–Wahiba Sands. Meander along the coastal road this morning, stopping at the BIMMAH SINKHOLE, which legend says was created when a piece of the moon fell from the sky. Enjoy a swim in its clear, blue waters before heading towards Sur to visit FISHERMEN’S HARBOUR and the DHOW BUILDING YARD, where traditional Omani wooden fishing boats are crafted by hand. You’ll see a radical change of scenery as we head inland to WADI BANI KHALID, a peaceful valley known for its natural beauty, abundant vegetation, and intriguing caves. Take a quick dip in one of the deep pools before continuing on to the WAHIBA SANDS, a large desert noted for its wide array of flora, fauna, migratory birds, and Bedouins who gather here each summer to pick dates in the oasis. Spend the night in a TENTED CAMP for a true taste of life in the desert. (B,L,D) MUSCAT Majan Continental (ST). Day 4 Wahiba Sands–Birkat Al-Mawz–Al Hamra–Nizwa. This morning, get a better understanding of the Bedouin lifestyle as you visit one of the region’s many settlements. Head towards the mountains for a picture stop at BIRKAT AL-MAWZ with its palm groves and terraced rose orchards, then Al Hamra, home to some of the oldest preserved houses in the country and boasting stunning panoramic views. Also on the agenda is JABREEN FORT, built in 1670 as a defensive stronghold and considered one of the most impressive forts in the Sultanate. Finally, reach Nizwa, capital of Oman in the 6th and 7th centuries and one of the oldest cities in Oman. Visit the NIZWA SOUK, where you can haggle for a great price on spices, silver, pottery, and more. (B,L,D) WAHIBA SANDS Arabian Oryx Camp (ST). Day 5 Nizwa–Ibri–Al Ain, United Arab Emirates. Leave Nizwa this morning and stop en route in Ibri. Then, say goodbye to your Oman guide and driver, cross the border into the United Arab Emirates, and meet your guide and driver for the Emirates part of the journey. Reach the “Garden City” of Al Ain, a charming desert oasis that was originally a stop on the caravan trail. 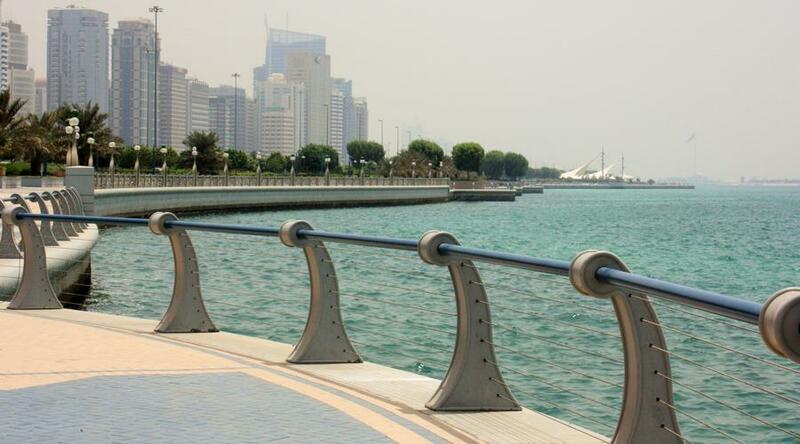 Today, it is a university city, center of agriculture, and the second-largest city in the Emirate of Abu Dhabi. On the included city sightseeing tour, visit the HILI ARCHAEOLOGICAL PARK, the largest Bronze Age complex in the country, and the SHEIKH ZAYED PALACE MUSEUM. Set around courtyards and lofty palms, this beautiful cinnamon-colored palace was built in 1937 for the late Sheikh Zayed Bin Sultan Al Nahyan. Also enjoy a swim in the thermal waters at the GREEN MUBAZZARAH HOT SPRING. (B) NIZWA Golden Tulip (F). Day 6 Ail Ain–Abu Dhabi. This morning, visit the CAMEL MARKET before continuing to Abu Dhabi, capital of the United Arab Emirates. On arrival, enjoy an orientation drive along the Corniche, with a picture stop at Al-Hosn Palace, one of the city’s oldest buildings. Also visit HERITAGE VILLAGE, a reconstruction of a traditional oasis village that includes a goat-hair tent, artisan workshops, a falaj irrigation system, and more; and see the BREAKWATER and the FISH MARKET. This evening, enjoy an included DHOW CRUISE aboard a traditional wooden boat with dinner on board. (B,D) AL AIN Ayla (F). Morning at leisure. This afternoon, included sightseeing features the iconic EMIRATES PALACE hotel, the breathtaking white SHEIKH ZAYED GRAND MOSQUE, and Yas Island, home to the Abu Dhabi Grand Prix, for a picture stop. (B) ABU DHABI Le Meridien (F). Depart Abu Dhabi and head for Dubai, where an orientation drive introduces you to the dynamic business center. 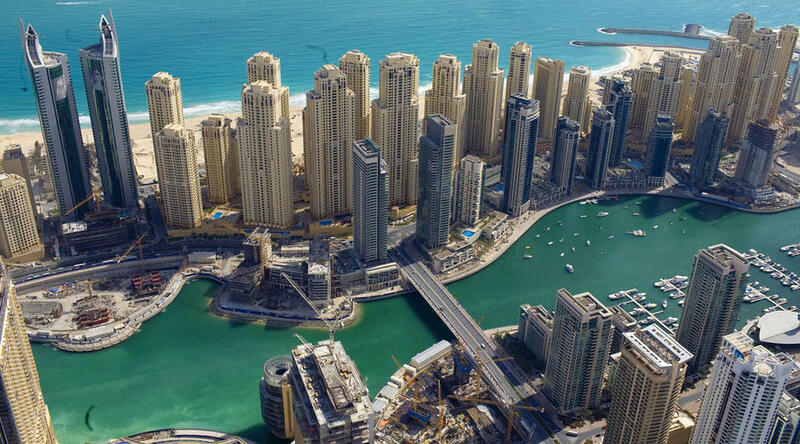 View Dubai Creek; see the ancient Al Bastakiya area, dating back to the 1690s; and hear about the history of Dubai at the AL-FAHIDI FORT, the oldest architectural masterpiece in the city. Next, visit the SPICE MARKET and the GOLD SOUK, and marvel at the Burj Khalifa, completed in 2010 as the tallest man-made structure in the world. Finally, a picture stop at the Jumeirah Mosque, built in the medieval Fatimid tradition. (B) ABU DHABI Le Meridien (F). A whole day to do as you please. Shop at one of the many famous malls, or marvel at the daring contemporary architecture. Consider joining the optional desert safari with barbecue dinner. (B) DUBAI Copthorne (F). Your vacation ends with breakfast this morning. (B) DUBAI Copthorne (F).